Reel Talk Online: REVIEW: In the Beginning...Ridley Scott Created "Prometheus"
REVIEW: In the Beginning...Ridley Scott Created "Prometheus"
"My God, we were so wrong..."
It's been hours since director Ridley Scott's eagerly awaited sci-fi juggernaut and prequel distant relative of his classic film Alien reportedly clocked in $3.5 million in its midnight showing, but audiences are still left spellbound over it. And with good reason. 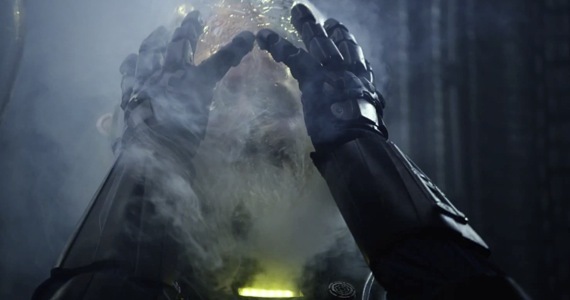 Prometheus recaptures the essence of not only a beloved franchise, but also an admired yet complicated genre many filmmakers attempt but few successfully. In short, it shows the amateurs how it's really done. The familiar story of a group of scientists who venture to a deserted planet to find it swarming with extraterrestrials with ulterior motives gets a major facelift with the addition of fresh blood cast members Noomi Rapace, Charlize Theron, Idris Elba, Michael Fassbender, Logan Marshall-Green and Guy Pearce, And true to Scott's remarkable oeuvre, they--along with the audience--are thrown onto a wild ride. 2) Michael Fassbender. We saw him strip down to his skivvies and less in Shame, but the immensely talented star donned Dennis the Menace-styled hair and a mechanical presence so harrowing that it stays with you long after he slinks away from the camera. His smile is even ominous. Fassbender, affectionately called "Fassy" by those of us who lust for admire him, plays know-it-all David, an android more terrorizing than the slimy aliens themselves. He marvels at the alien culture and its origins, and serves as a catalyst to his and their danger. You simply can't take your eyes off of him. 3) Edge of your seat glory. That's an understatement. Picture wicked special effects along the lines of something so frightening that makes you want to scream, but no sound will come out. We're talking wet-your-pants awesomeness that will keep you breathless and on the edge of your seat. It's not just the already chilling life forms that seem like they've gotten even more pissed off since the last Alien movie, it's the suffocating tension between the protagonists and one set of unfamiliar beings that you can't quite place, but who seem to have the drop on us all. Quite a pressure cooker. 4) The return of Guy Pearce the ninja, and Idris Elba the superhero.Guy Pearce is that guy. You know, that guy who always shows up in movies unannounced, but who only by the time he's left the scene do you realize that you've been hit with something hard and don't know by whom. Yes, that guy. As the centuries-old head honcho Peter Weyland, Pearce is all decked out in geriatric makeup and hardly recognizable as the Weyland Corporation tycoon. 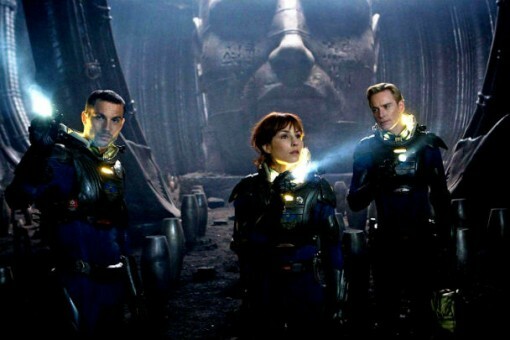 If he hadn't already before, his performance in Prometheus will convince you that the man really can play any role. 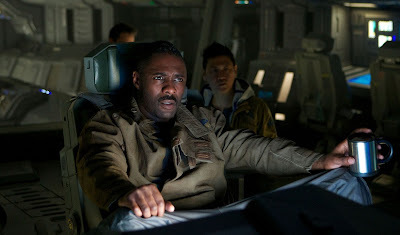 Then there's Idris Elba, whose star is rising so high in Hollywood, we won't even be able to see him after a while. He plays the smooth-talking Captain Janek, driver of the ship, who rivals Meredith's commanding demeanor, but knows when to crack a smile or add some comic relief every once in a while. On board this ship, that's very welcome. 5) You think you know, but you have no idea. If you go into Prometheus thinking it's a prequel, or that it's somehow connected to Ripley and her team in Alien, you'll be in for the shock of your life. 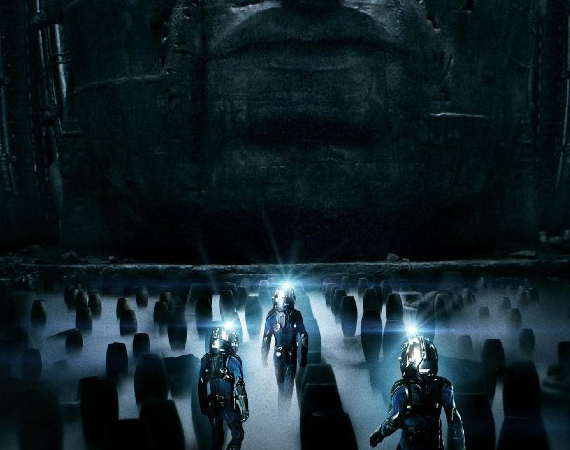 Prometheus is mysteriously singular, while it also revisits similar elements to the earlier franchise, except that it digs deeper into the origins of alien discovery as it pertains to the future of the human race with astounding results.It's the perfect mesh of old and new theses from Greek mythology and beyond. You'll leave the theater not even able to process what you've just seen. That's in part because it's a rather deep film for its genre, with a provocative plot (thanks to an impeccable screenplay by Jon Spaihts and Damon Lindelof) that doesn't cheat or make fun of its audience. Sure, it is filled with notable frets and thrills. But it also has heart, a cringeworthy musical score, and themes that you'd likely to find in a theological Tom Hanks drama, not an alien-slashing flick. That's because Prometheus asks us questions, rather than trying to flood us with all the answers. Excellent post! 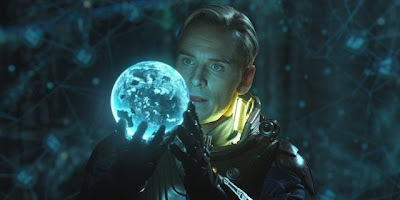 Loved the movie and it is right behind Alien in the franchise for me, really thought provoking work and the performances by Fassbender and Rapace were fantastic. Excellent review for an excellent movie! I love the way you broke it down and I agree with every and all the points. Truly a brilliant movie. The acting was great, the writing was great, it was all epic. Time for another screening. Very great to look at and features a spot-on direction from Scott, but it seems like there was too many missed opportunities for this flick to be great. Instead, it just went for ok and that’s what bummed me out. Still, can’t say I didn’t enjoy myself. Nice review Candice. I'm so happy that we agree on the majority of aspects. The film is brilliant and people shouldn't regard it as the Alien prequel. It's just so wrong. I loved the cast as well but I had a problem with Theron's character, but not with her acting. I mean she did the best with what was given her, but the character seemed one-dimensional. Love love love this film anyway. Agree with the a ton of your list, think it's a true achievement by Scott and his team, wonderful film, seen it twice. I loved reading your review of Prometheus, Candice! I agree with everything you wrote and I too was left spellbound long after the film. So many aspects of the film I loved. Loved that they put in the original musical theme from Alien when Weylan appears in his holographic recording. I need to see again asap! I am really of two minds regarding this film. I liked the set pieces, special effects, and strong performances by the cast. However, I found the script to be severely lacking. The crew, many brilliant scientists make some of the dumbest choices in an attempt to advance the plot. No rational person would say or do many of the things we are supposed to believe these characters do. Also I like Guy Pearce as much as the next guy but don't any old actors in Hollywood need work. That makeup job was J. Edgar bad. It's a testament to the direction of Scott and performance of the cast, that they were able to make as good of a film as they did, considering they were working with a script from the same people that wrote Cowboys and Aliens. Great review! I can't wait to see this. I read speculation that a younger man was cast in the role for possible flashbacks in the future and I agree that is possibly the case. I thought the makeup was good. Plus there is nothing as bad as J. Edgar makeup. Nothing. Great review for an excellent movie! Great review. Loved your number reasoning for why this movie rocked! He was indeed a clever fellow, Ridley, making the heroine a woman, thus making Alien movies more accessible to a female audience. There are a few implausible moments by the “brilliant” scientists(as noted by 3guys1movie), but it sure was a great ride, and brainy also in a tacit kind of way. I gave it 7.6 in my monthly recap. I think it was an advantage I had not watched Alien movies for some years...my rating may have been lower if I had done so recently.